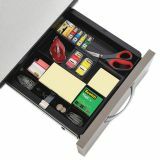 Stores supplies within easy reach. 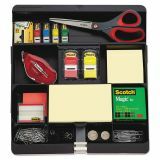 Includes Post-it 3x3 Notes, and Flags, as well as Scotch Tape. 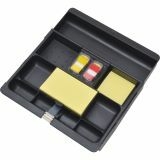 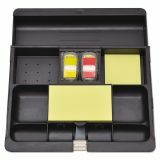 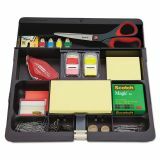 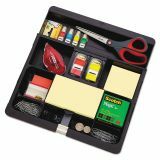 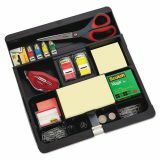 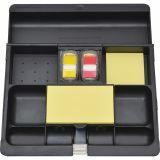 Post-it Recycled Plastic Desk Drawer Organizer Tray, Plastic, Black - Desk drawer organizer expands to fit most standard desk drawers. 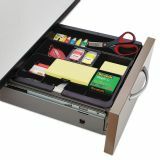 Conveniently stores supplies within easy reach and helps minimize desktop clutter. 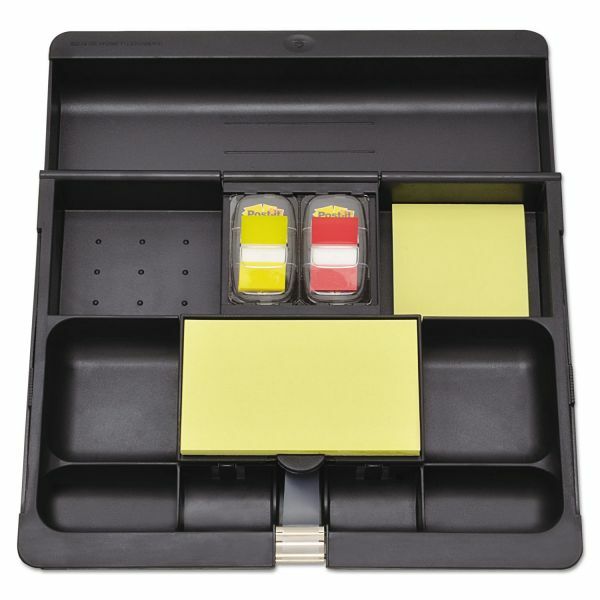 One-hand dispensing of Scotch® Magic™ Tape, Post-it® Notes and Post-it® Flags. 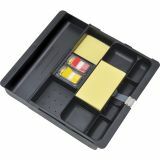 Includes one roll of 810 Scotch® Magic™ tape, one pad of 3" x 3" Post-it® Notes, one pad of 3" x 5" Post-it® Notes and one pack of red and yellow Post-it® Flags.